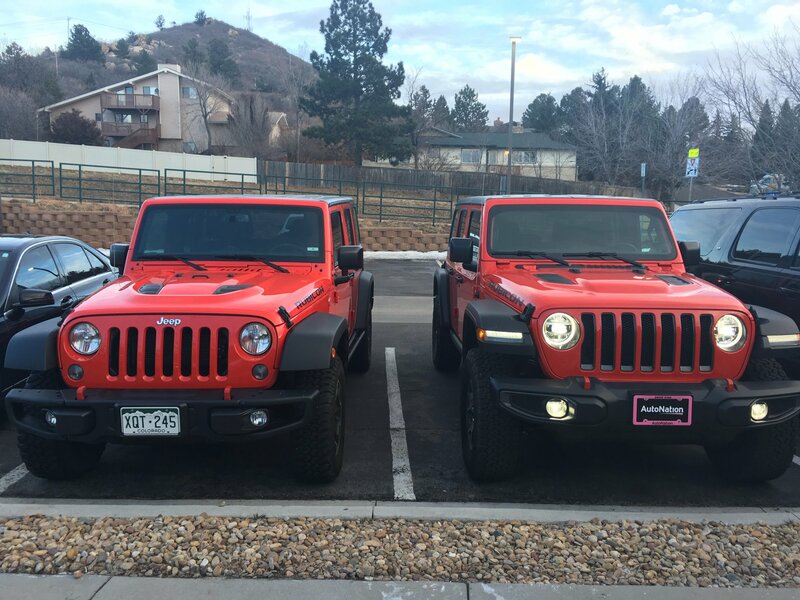 I had a client come by today and he had a new JL he bought last night. I went out and took a look at it inside and out. The first thing I don’t like is the TJ style running lights in the fenders instead of under the headlights. The interior is way too much like a car and the F*****g thing had push button start. From what I could see in the parking lot the suspension looks just about the same as a JK which is good. It did appear to have aluminum steering knuckles which is not a good thing. All in all from a two minute look over I will keep my $11,000 JK and not spend $53,000 on a Rubicon JL. I hope to get one in here for some on rack digging soon. Let me know what you think about these new Jeeps on our Facebook page. Thanks to JLwranglerforums.com for the image!